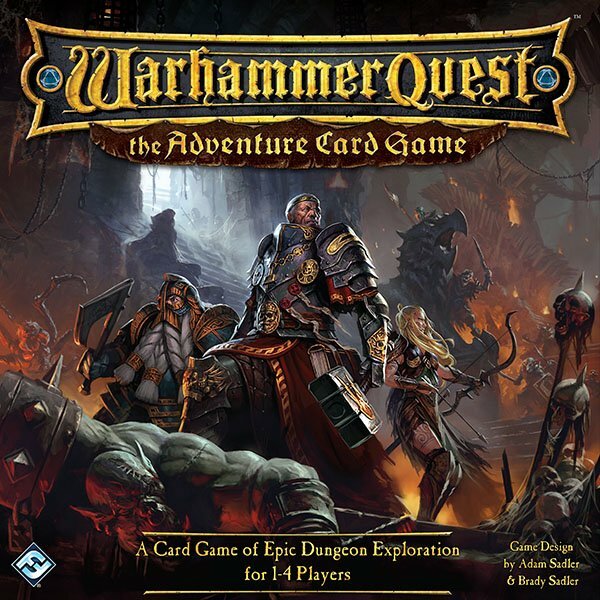 Warhammer Quest: The Adventure Card Game is a cooperative game of heroic dungeon adventures for one to four players. Players assume the roles of some of the Old World's most iconic heroes, then venture into the shadows to battle ghouls, Goblins, Skaven, giant bats, swarms of rats, and other monsters. Can you survive their relentless onslaught? Can you press deeper into their lair to find the evil villain that drives them forward? There are only two ways for your quest to end—in death or in glory! 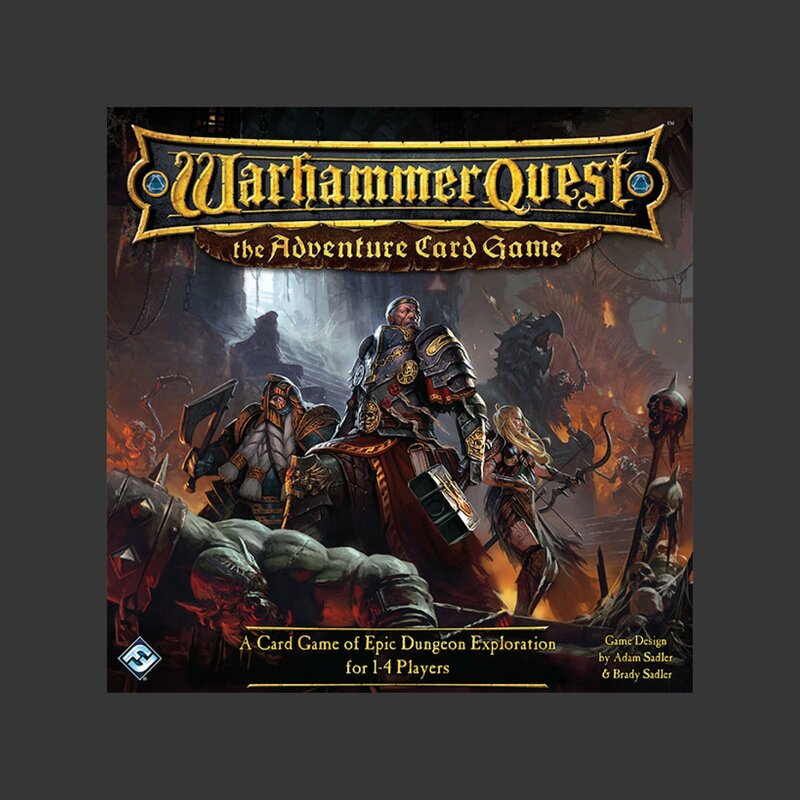 Warhammer Quest: The Adventure Card Game thrusts you into the mysteries and battles of the Old World with a five-quest campaign that challenges you to discover and defeat the evil villains responsible for the disease that threatens the city of Schompf. To do so, you must find your way through the tunnels beneath the city and through other neighboring caverns. You do this by advancing through a deck of locations, one at a time. However, each location houses new dangers. 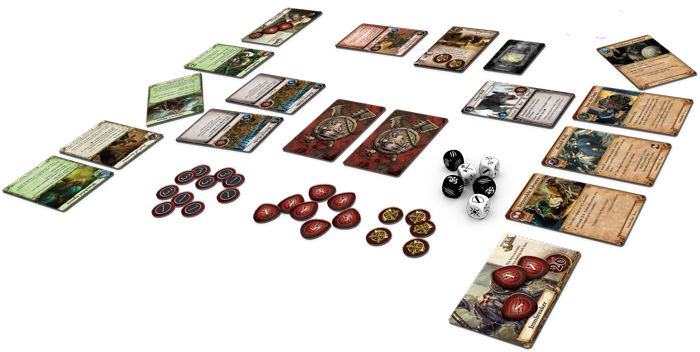 Each time you reveal a new location, new enemies appear, drawn randomly from the quest's enemy deck. These enemies then battle you as you try to advance to the next room. They slash you with their claws, rip into you with their fangs, and fire crossbow shots from the shadows. 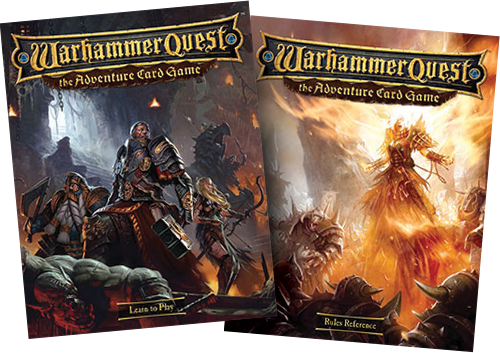 In Warhammer Quest: The Adventure Card Game, you assume the role of one of four different, iconic heroes: Warrior Priest, Bright Wizard, Ironbreaker, or Waywatcher. 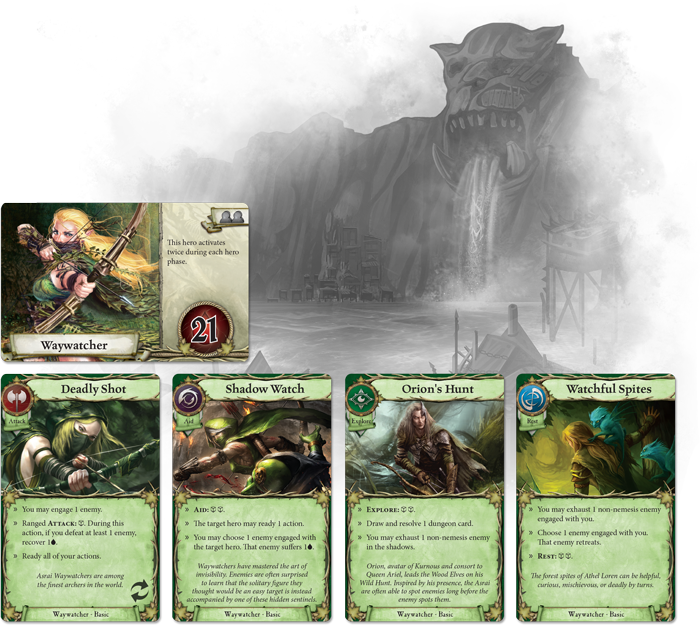 Each of these heroes enters the dungeon with the same four types of action cards, but they’re separated by the specific abilities their actions grant them. The Old World needs new heroes. Will you be one of them?